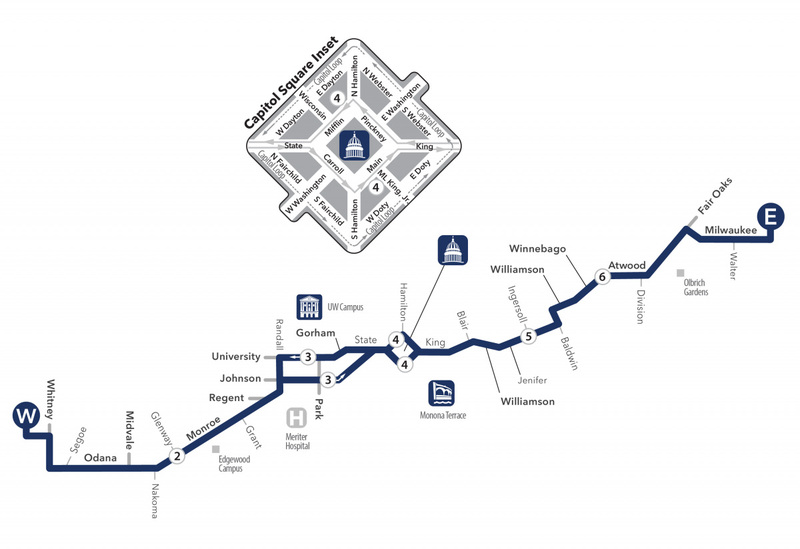 Monroe St/ Tokay Blvd, Edgewood College/ West HS, Camp Randall, Unity-Point Meriter Hospital, Park/ Regent, UW Campus, State St, Capitol Square and Jenifer St.
# Bus travels via Regent & Tokay. Trip serves stop on Park St. south of University. # El autobús viaje por Regent & Tokay. El Viaje sirve parada en Park St. al sur de la Universidad.